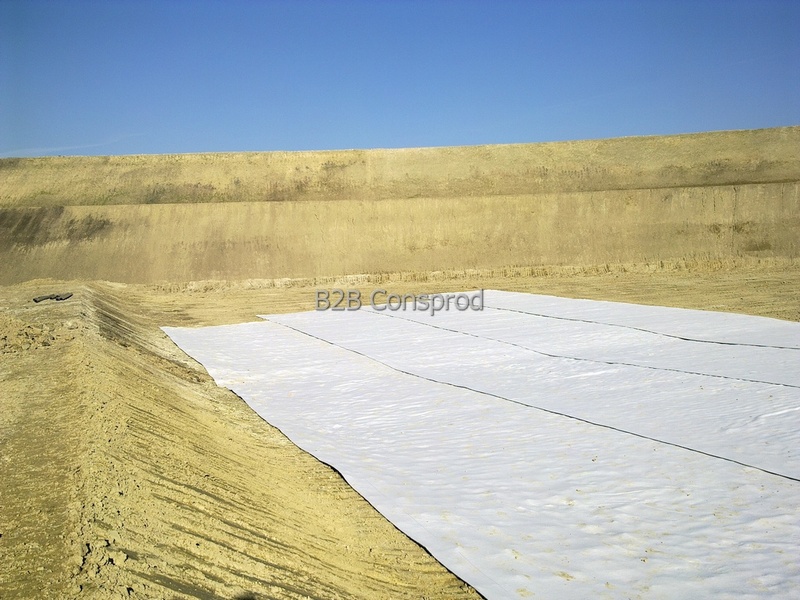 Bentonic geocomposites are made of a layer of bentonite encapsulated between two polypropylene geotextiles - a non-woven and a woven one. 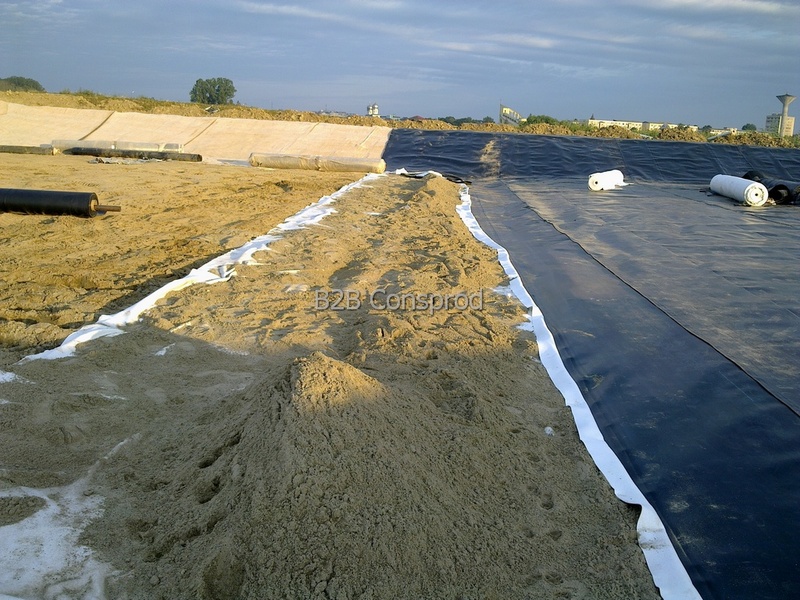 By the interweaving, a reinforcement system is made to allow the two geotextiles to be linked together by thousands of wires that pass through the bentonite core. 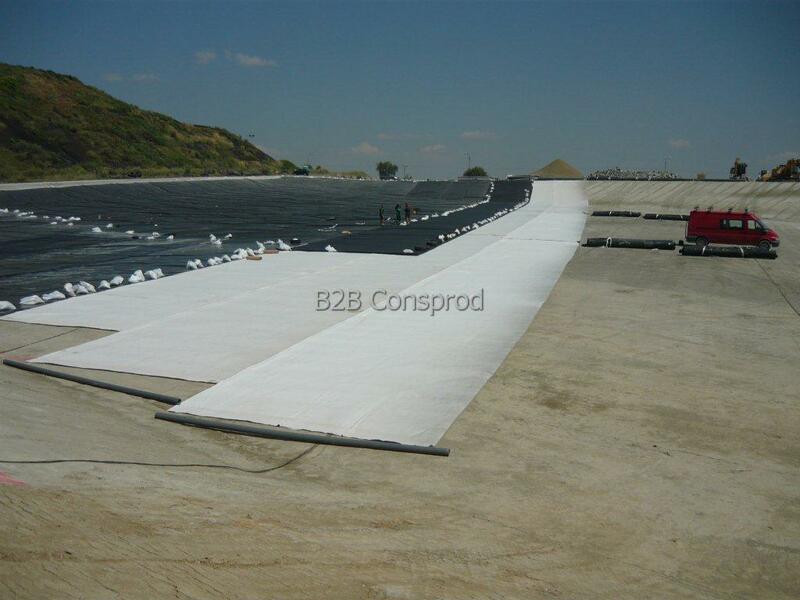 This manufacturing process determines the reduction of shear forces acting on the barrier. 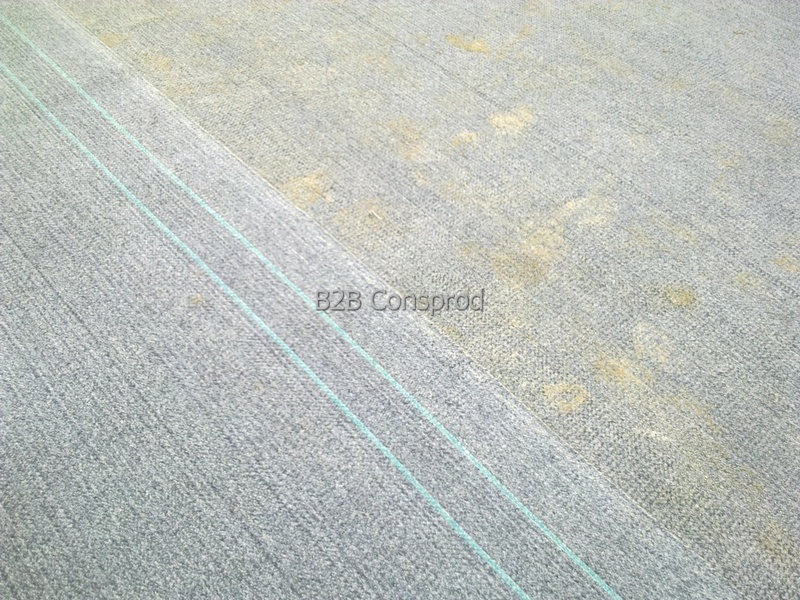 The material is a product with a very low permeability due to its swelling capacity in contact with liquids. 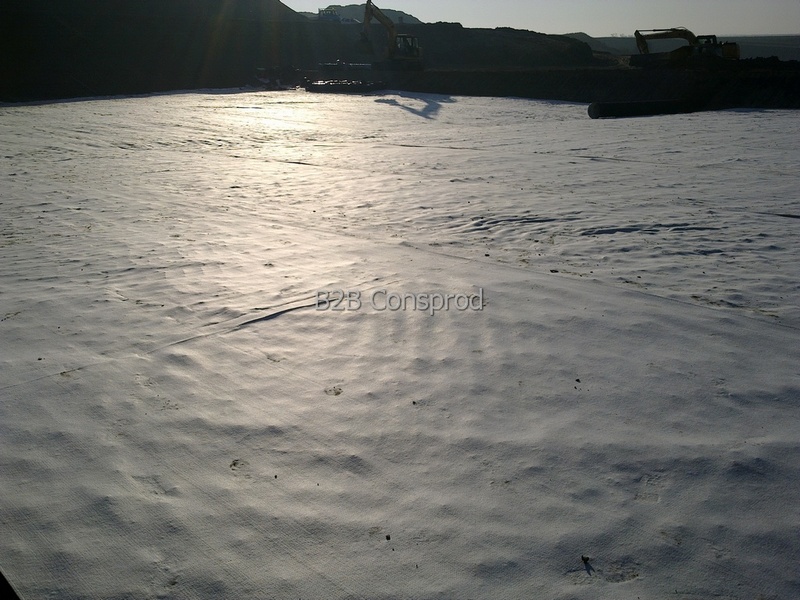 This property is conferred by Bentonite - mineral clay from the smectite group, composed mostly of montmorillonite. 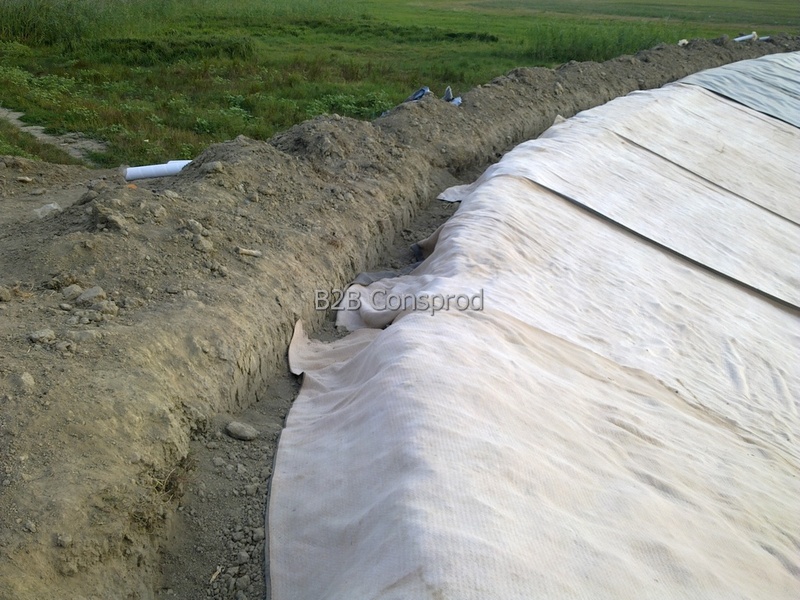 Smectic clays are a group of minerals that grow in volume when absorbing water or organic molecules. • Easy to repair. 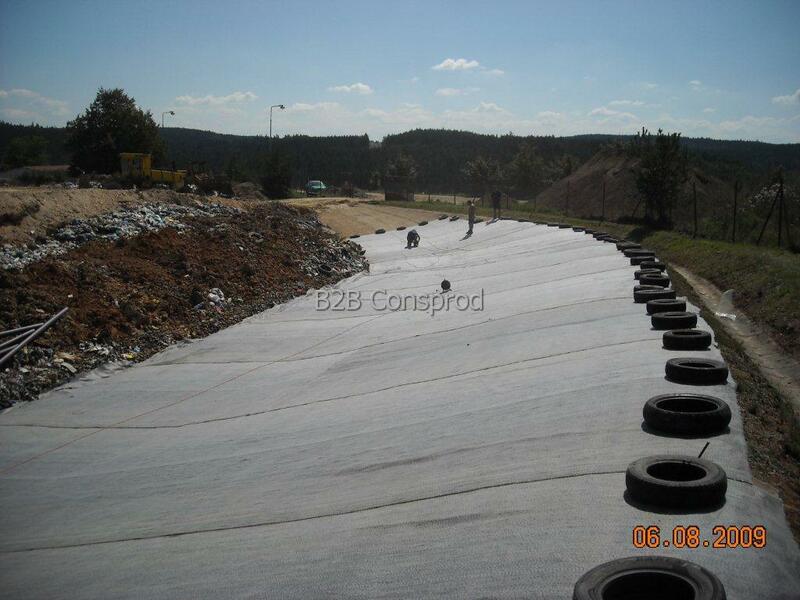 A minor accidental damage does not require any intervention because the geocomposite has the ability to self-seal. 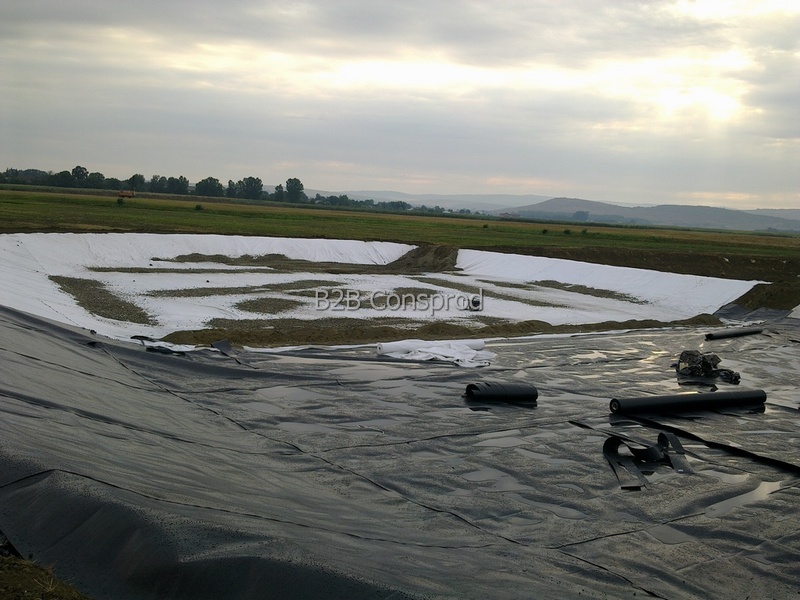 • The bentonite geocomposite with HDPE membrane eliminates workmanship required for separate HDPE membrane (as with conventional technology) and greatly reduces job time. 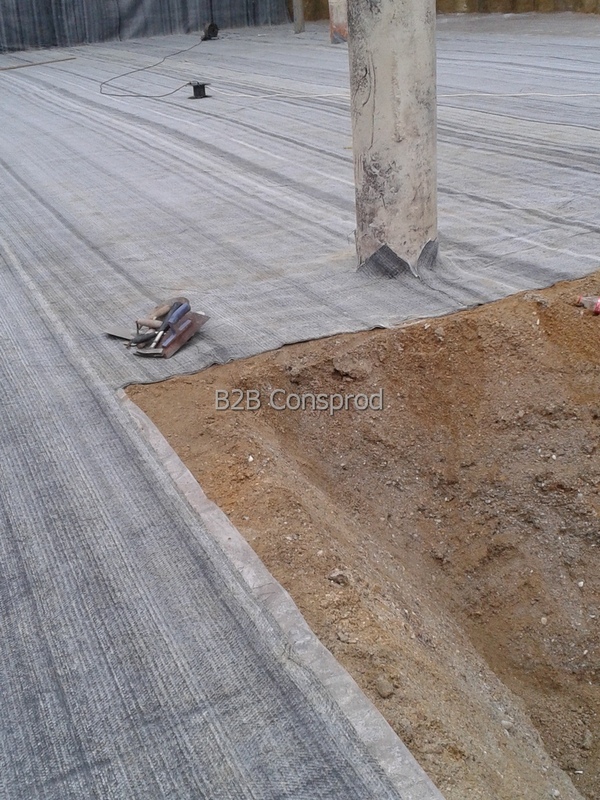 B2B CONSPROD can provide you technical assistance during installation, including authorized application teams.